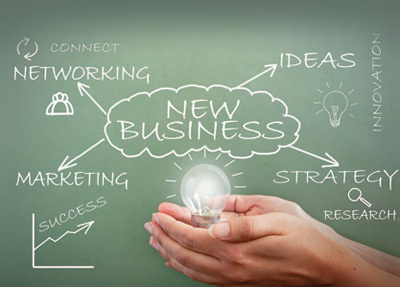 Do you want to start a business? Expand your existing business? 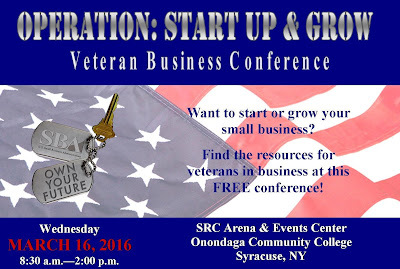 Find all the resources in one location at this FREE conference for veteran entrepreneurs! Operation: Start Up & Grow is the premier veterans business conference in Upstate New York for our veterans and members of the military community who want to start or expand their own small business. The half-day event includes breakout workshops, networking sessions with guest experts and exhibitors, award ceremony, free breakfast and lunch. Online registration is now open: REGISTER HERE. The Office of Advocacy, an independent office within the Small Business Administration, has released a report investigating the differences in STEM entrepreneurship between U.S.-born and foreign-born college graduates. The study finds that differences in educational attainment along with differences in the distribution of U.S.–foreign-born demographic characteristics explain most of percentage the gap. Among immigrants who earned their highest degree in the United States, the rate of STEM entrepreneurship is almost 4 percentage points higher than for otherwise-similar native-born citizens. The report is titled Imported Entrepreneurs: Foreign-Born Scientists and Engineers in U.S. STEM Fields Entrepreneurship and is written by the noted economist, Margaret Blume-Kohout. It suggests several opportunities for policymakers interested in spurring new business creation and startup employment in new ventures focusing in STEM fields. The full report and research summary are located on Advocacy’s website. These reports provide selected economic and demographic characteristics of U.S. respondent firms and their owners. Data aggregates are presented by gender, ethnicity, race and veteran status of majority owners at the national level by 2012 North American Industry Classification System (NAICS), and employment size and receipts size of firm. Characteristics of Businesses and Business Owners statistics for both employer and nonemployer firms include, but are not limited to, types of workers, year the business was originally established, if the company owned a website, age of owner, owner’s highest level of education, and whether the owner was born in the United States. 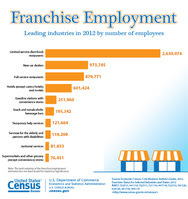 Franchised limited-service restaurants (NAICS722513), sometimes called fast-food restaurants, employed 2.6 million people in 2012 and had sales of $129.2 billion, the U.S. Census Bureau reports. New car dealers (NAICS 441110), an industry solely comprised of franchises, employed 973,745 people and had sales of $672.5 billion in 2012. 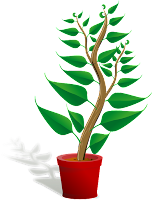 This article offers a number of ideas on concrete steps to take to grow your business with some real world examples of successful businesses who survived their expansion. 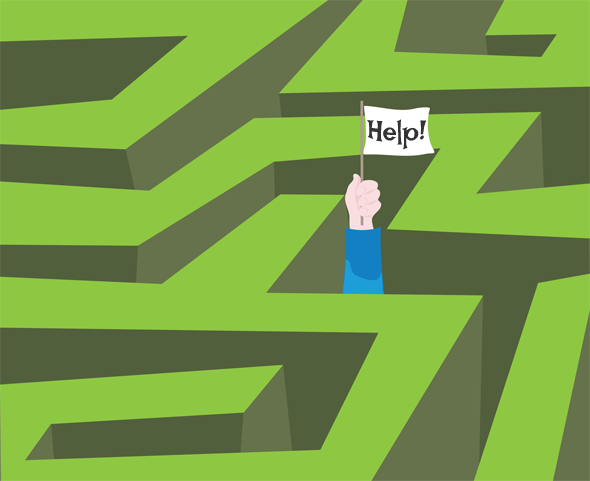 Running a small business is a daunting challenge. Statistically, less than 50 percent of small businesses are still operational after five years. Globalization has increased the level of competition and introduced more turmoil to the business environment. If you want to take your business to the next level, you’ll need to be open to the current realities of the new global economy, and get more creative. Each year the New York Small Business Development Center recognizes outstanding small businesses in a variety of ways. This Success Story from the Binghamton SBDC appears in our 2015 Annual Report. When her boss at The Insulation Man told Susan Gahagan that he was going to retire and sell the business, she resisted the urge to panic and instead began to envision herself as the owner of the company that had employed her for 20 years. As Office Manager, Susan knew every one of the hard-working employees and had seen the business grow exponentially over the years. Susan shared her entrepreneurial thoughts with co-worker David Currie and they decided to buy the business. 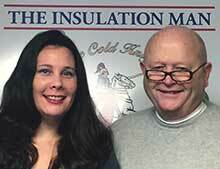 Susan and David knew that they could continue to provide residential spray foam insulation services. They also saw potential increased revenues and capacity if they expanded the business by selling to commercial customers and pursuing procurement opportunities. They consulted Advisor Ginny Thompson at the Binghamton SBDC for help in developing their business plan and financial projections. When Ginny retired from the SBDC, Advisor Jocelyn Thornton began working with the partners. In 2015, Susan and David fulfilled their dreams of being business owners. They secured a loan with M&T Bank that came with an SBA guarantee, and also obtained a line of credit from M&T. Most importantly, they saved the jobs of 14 employees plan to create 2 additional jobs. Susan and Dave participated in the SBDC’s MWBE Contractor Bond Readiness Program this year and will pursue MWBE certification once they have been in business for the required one year. How do I get certified as a minority or woman owned business? In an effort to promote the integration of Minorities and Women owned business into the State’s procurement process, the Governor’s Office on Minority and Women’s Development was incorporated into the Department of Economic Development in 1992. This office is responsible for implementing the certification program to which any established business owned by women or minorities can apply. One important criterion for determining eligibility is that the business must be independently controlled by a minority or woman and must have been in operation for a year. Any legal form of business is eligible be it a single proprietorship, partnership, or corporation. Out of state entities may also apply. What constitutes “ownership” in this case is defined as having at least 51% ownership by citizens or permanent resident aliens who are: African American, Hispanic, Asian, Pacific Islanders, Native American, Alaskan Natives or women. Completing the certification process requires a lengthy form and lots of information, such as who owns the company and in what percentage, the sources of funds utilized, sales figures, licenses, key staff, physical facilities, equipment, banks accounts, creditors, financial statements, etc. Moreover, once the application is submitted and accepted, it will probably take anywhere between six to nine months for you to get and answer. Rejections can be appealed through an established process. The advantages of certification? Well, take into account that Minority Business Certification provides an opportunity to do business in and with New York State since your business will be listed in the statewide Directory of Certified Minority and Women Owned Business Enterprises. State agencies and contractors use this catalog. And since both the Governor and the Legislature have mandated the state government to provide better opportunities to women and minorities your chances to do business are increased automatically. Certification does not guarantee more business but provides a better chance to compete. For more information and assistance contact the New York State Department of Economic Development, Division of Minority and Women Business Development in Albany at (518) 292-5250 or your local Small Business Development Center. 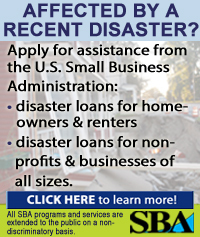 If your business was impacted by Hurricane Sandy, you may still apply for disaster recovery assistance from the SBA. Whether your business is small, large or non-profit, SBA CAN HELP! "Decision making is like any other skill. When you first engage, you’ll be inexperienced, and as a result, your performance will suffer. But if you can gradually eliminate your bad habits and replace them with positive practices, you’ll set yourself up for much greater overall success." Clearly, technology has changed marketing a lot. We fast forward through ads on television and block them on our devices. We have amplified word of mouth in social media. We pour over analytics and metrics. But what about the marketing plan? Has technology changed marketing planning? One thing for sure: The fundamentals still apply. As much as ever, marketing is still getting people to know, like, and trust your business. As much as ever, marketing still needs defining target markets, knowing those market segments, reaching the right people with the right message. Pricing is still the most important message, and the lowest price is – as always – not necessarily the best price. Another thing for sure: the marketing mix, the tactics, are changing rapidly. Goodbye to the yellow pages, hello Facebook. Goodbye public relations, hello social media. Goodbye advertising, hello content marketing. And where is the marketing plan, in all this? Let me suggest x essentials of a marketing plan for 2016. "In a recent article, Palo Alto Software founder Tim Berry equates startup marketing to throwing darts at a dartboard. While existing companies can get away with throwing their “marketing darts” a little aimlessly, a startup has to be more careful and precise. The established company just has to worry about hitting the dartboard; the startup needs to hit the bullseye. If precision and focus are the name of the marketing game for startup companies, what is the best strategy for marketing your startup? I asked the members of the Young Entrepreneur Council for their advice on how to market startup companies most effectively. All these entrepreneurs advocated for employing focus, consistency, and using a variety of unexpected sources, many of which are low cost—always a plus for a new startup. Your website is your virtual place of business. Just like your regular place of business, you want it to be neat, clean, attractive, inviting and professional looking. Here are 7 low cost ways to improve a homepage to meet today's standards -- and they may be easier than you think. Each year the New York Small Business Development Center recognizes outstanding small businesses in a variety of ways. This Success Story from the Midtown Manhattan SBDC appears in our 2015 Annual Report. John saw there was an opportunity to provide a service that was not being offered by most boutiques. He found that the most successful boutiques offered a great experience but there was minimal focus on what really matters - results. With a wealth of expertise unmatched by most of his potential competitors, John became focused on establishing a dual studio boutique that would offer an unparalleled experience through music and lighting, with amenities that rivaled the most luxurious health clubs, and workouts based on tested sports science and research. In the spring of 2014, John visited the Baruch SBDC with a concept and a name - Scorpion Fitness. Scorpion Fitness would help its clients develop lean, fit, aesthetically balanced physiques by optimizing the 5 principle domains of fitness: strength, power, speed, core strength, and endurance. With the help of Business Advisor Jesse Karasin, John fine-tuned the details of his business plan and secured a loan from NYBDC for $475,000. 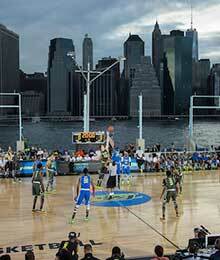 Jesse and John went to work to identify a premier location near New York’s Madison Square Park. The SBDC and NYBDC provided all the support John needed to get through the lending and negotiating processes. With tax season among us it can become a chaotic time of the year for business owners. Provided is a surplus of articles to remedy the potential hectic process, easing you through what many business owners dread- lending you an extra hand. Five Basic Tax Tips for New Businesses. changes for the 2015 tax year here. Tim Berry at Bplans.com offers a clear and concise explanation of what an executive summary is and is not with links to related articles. It offers good advice on how to go about it and straightens out some confusing terms. Your executive summary is your pitch. You’ve heard of—and probably even given—an “elevator pitch”; write your business plan’s executive summary like it’s an elevator pitch that you’ve had the time to edit to perfection. 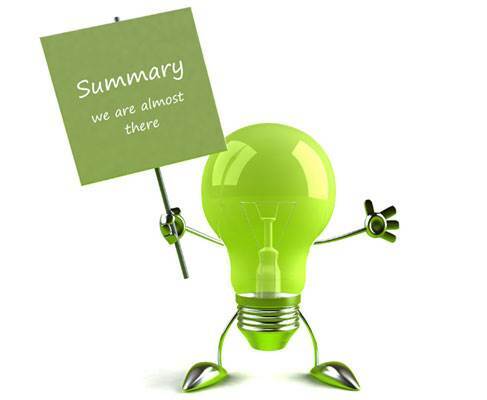 It should introduce you, your business, and your product, but the purpose of writing an executive summary is also to deliver a hard sell. Convince your reader here that you have a great idea they should invest their time and money in. One Day at Panda Express. On a bright day in the flats of San Gabriel Valley in Los Angeles, the busiest restaurant around is a Panda Express tucked into a shopping center dominated by a Walmart. Running a fast-food operation isn't like other restaurants — here, we dive into the big picture, the tiny systems, and the daily struggles of keeping a quick-service shop humming. Walnut Grove Avenue is a relatively barren stretch between the 10 and 60 freeways in the heart of the San Gabriel Valley, some 12 miles east of Downtown Los Angeles. There are two big anchors to the suburb: a large Edison utility headquarters, and the corporate headquarters of Panda Restaurant Group, parent company of Panda Express. One of LA's few Walmarts looms at the end of a huge parking lot, flanked by a strip mall with a collection of standard-issue retail slots. While many diners still think of Panda as a shopping mall staple, the chain — founded in 1983 inside the Glendale Galleria mall just a few miles to the northeast — has more freestanding restaurants than food-court spots. Here in Rosemead, a brightly colored, standalone building in the parking lot is Panda's local flagship, a model store that's testing innovations the brand plans to roll out to its other locations, including a larger dining room, flatscreen TVs, and a drive-thru. 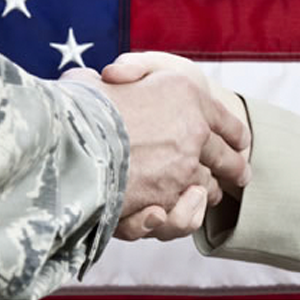 Are you or would like to be a veteran involved in the business industry? SBDC is a huge advocate for small business development by our veterans. Here is how veterans are receiving a spark of support in entrepreneurial ventures. For the entrepreneur, New York offers a stable environment, a large economy, and access to one of the world's busiest regions. Small business owners and professionals in the state don't expect that to change and are largely optimistic about what the future holds. While New York's economy has grown slower than the nation as a whole, it remains the third largest in the country at a GDP of nearly $1.4 trillion in 2014, according to the Bureau of Economic Analysis (BEA). That means plenty of business opportunity, both in New York City and outside, where there are large markets in places like Buffalo, Rochester, and Syracuse. New Yorkers are, on average, wealthier than their national counterparts as well, meaning more money to spend on the goods and services small businesses have to offer. However, the heightened cost of living can prove difficult to manage. Still, entrepreneurs said that if they can overcome the steep expenses associated with payroll and rent, not to mention a tangled web of taxes and fees, operating in New York is an investment that pays off in the end. As part of our yearlong project "The State of Small Business," Business News Daily plans to report on the small business environment in every state in America. In this installment, we asked a few of New York's 2,057,959small business owners about the challenges and opportunities of operating in their state. 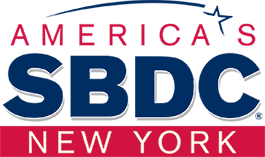 Each year the New York Small Business Development Center recognizes outstanding small businesses in a variety of ways. This Success Story from the North Country SBDC appears in our 2015 Annual Report. Lake Champlain Physical Therapy is a new clinic in Crown Point owned and operated by Leonardo Lopes-Gomes, a board-certified physical therapist. When working at a local hospital, Leo noticed that patients were willing to wait two to three weeks to schedule an appointment with him, and was inspired to start his own successful practice. After eight years at the hospital, Leo took the plunge and decided to start his own business. 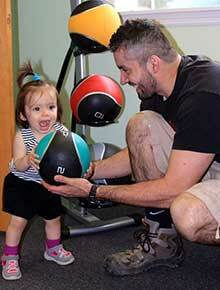 Lake Champlain Physical Therapy offers outpatient physical therapy treatments. Leo may expand the practice in the future to include other therapies and wellness services such as massage therapy, acupuncture, fitness classes and wellness programs. Due to limited collateral, the bank required an SBA guarantee to facilitate lending. Leo visited the North Country SBDC for assistance in preparing a business plan and financial projections to secure funding. Advisor Angela Smith worked with Leo to carefully identify all startup costs and research the local market to build realistic financial projections for this rural practice. The outcome was a well rounded business plan and financials, which resulted in the approval of a $50,000 7(a) SBA guaranteed loan though Glens Falls National Bank. 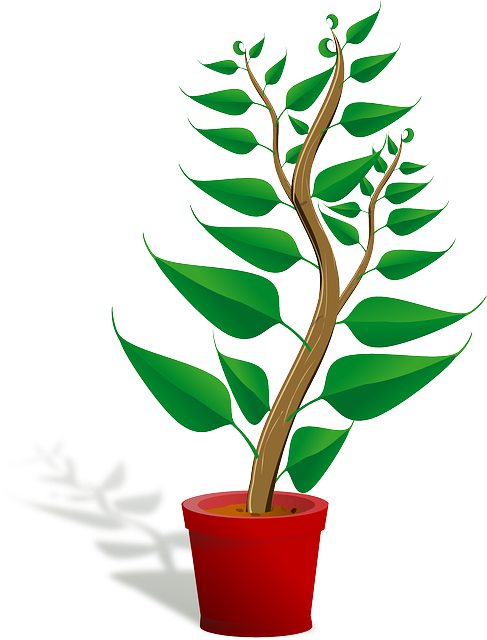 A happy Leo commented, “The SBDC provided me with invaluable service! Excellent feedback, advice, attentive and the bank said it was the best business plan they ever saw.” Lake Champlain Physical Therapy offers a full-range of physical rehab services for the general population in the greater Southern Essex County & Ticonderoga Area with offer state of art equipment and personalized one-on-one physical therapy. There are so many options these days for learning opportunities, often for free. I have only listened or viewed a couple of these in the past but today checked out a course that our clients would be invaluable to a lot of our clients, in particular tech clients. I was searching for a podcast for training people on how to sell. A course on iTunes U that jumped out to me is How to Start a Startup by Sam Altman. It's free! There are over 40 lessons, some video-based units and some podcasts. I jumped to the unit on Sales & Marketing: How to Talk to Investors. It concisely works through the steps of what questions an entrepreneur needs to be able to answer. What to say, when to shut up, and what attitude to you need to be successful. This was a section that I thought would be very interesting for businesses starting out and trying to get funding. Other interesting units are on how to manage, hiring, accounting, and simply "building product and talking to users". There is something on just about anything you want to learn and the format is easily fit into a busy schedule. Like Coursera, most of these courses are offered by known schools and universities you will recognize and are stand-alone or supplement campus study. If your client (or you ) need a refresher on just about any topic, consider an online course. Have there been reasons to make drastic changes to your business? If you are in the stages of possibly rebranding the SBA has a STEP-BY-STEP process to help guide you back onto the road to success.Here is what you need to do when going back to the drawing board. We all aspire to work better together. Technology is making some of that effort easier. But digital tools are only part of the answer. It’s people who ultimately make the difference. The problem is that technologies for collaboration are improving faster than people’s ability to learn to use them. What can be done to close that gap? A year ago we set out to find the answer, drawing on the collective experience of dozens of collaborative communities and learning organizations. Here’s what we found. In most organizations, there’s a standard set of tools we use to form, lead, and manage teams. These include personality tests, skill profiles, and team roles. When you put a team together, you consider people’s personalities: are they an introvert or extrovert, risk-taker or risk-avoider, analytical or intuitive? You consider their skills: What is their specific area of talent, experience, or expertise? And you consider their potential role on the team: What will their contribution be to the team’s purpose? We normally think of roles as being about what people do, such as team leader, project manager, or researcher. When you need a decision, you go to the team leader. When you want a status update, you go to the project manager. When you need something investigated, you go to the researcher. But in today’s marketplace, the smartest companies aren’t those that necessarily out-produce the competition. Instead, it’s the organizations that outthink them. And while there are plenty of tools that help us quickly understand what our teammates do, it’s harder to tell how they think. Research shows that it is ultimately how teams think together that most determines their performance. Blood pressures are rising at many small businesses now that tax season is underway. You know the feeling: You’re motivated, excited and focused as you work toward your dream. Then, life happens. The initial excitement you felt fades away. You want more traffic for your blog or website, but it becomes harder and harder to make yourself sit down and write. You find yourself creating excuses. Days and then weeks go by. Those ambitious goals you dreamed up are nothing but far-off fantasies dancing around in your head. -I’ll never be able to stick to my goals. -I don’t push myself hard enough. -I need to stop being so lazy. But, I have great news for you: Your dreams don’t have to fizzle out like a defective Fourth of July firecracker. Vague goals will get you mediocre results. Specific goals will get you amplified results. Why? Because vague goals aren’t goals; they’re wishes. Each year the New York Small Business Development Center recognizes outstanding small businesses in a variety of ways. This Success Story from the Albany SBDC appears in our 2015 Annual Report. Creative Sports Concepts specializes in the sales, service, and rental of interior and exterior sports surfaces, primarily basketball flooring. Additionally, the company offers related equipment for sale and rent, special event production, and logistics coordination under its current service umbrella. Under the direction of owner Michael Taylor, Creative Sports Concepts has grown since its formation in 2012 into a trusted industry solution provider for organizations needing permanent court installations or floor resurfacing, as well as those pursuing high-end temporary events and customized private gymnasiums. The company, a regional authorized dealer for Connor Sports Flooring, now has a national presence with mainstream customers like Under Armour, Nike, and Jordan Brand. Mike Taylor has been working with the Albany SBDC for the past year in identifying growth opportunities and better organizing his financial reporting. As a result, he has better positioned his company to take advantage of incentive programs and funding opportunities. Creative Sports Concepts was recently approved for $300,000 in SBA funding, primarily to assist in expanding equipment offerings and providing much-needed working capital as the business continues large contract relationships with Nike and similar partners. Mike continues to work with the SBDC on a much larger ambition: relocating the business to owner-occupied property that will provide enough space to resurface up to 4 full-sized courts for many of the Northeast’s NCAA basketball programs.